Summer Vacations for Seniors: Mini Vacations, Big Fun! Those two words evoke memories of fun and exploration, childlike wonder, and great times with family and friends. 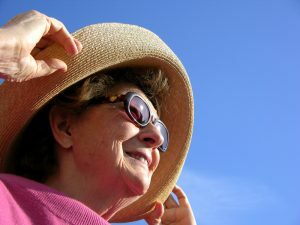 For a senior, whether living at home or in a senior living community, a summer “mini vacation” with loved ones and friends is the perfect time to safely have fun, explore, and connect. With a little bit of creativity and planning, seniors can enjoy a fun-filled and exciting summer vacation. Day long mini vacations allow seniors and their families to have all the fun of summer trips, without the stress and worry that can come with being away from familiar routines and comforts. Ready to hit the road? These tips for fun mini vacations will help make your trip run smoothly. Go local for senior friendly summer fun. Take a fresh look at destinations within an hour or two of home. Making new memories with family is the perfect excuse to explore those local gems you’ve been meaning to visit. At our senior living community in Monsey, NY, seniors enjoy local trips to the Boulder’s baseball games, Elmwood Theatre, and the Bronx botanical gardens, just to name a few. Museums with a local focus are perfect for history buffs. Matinees at local theaters and music halls delight patrons of the arts. Lakes and reservoirs with picnic areas are a cool alternative to overcrowded beaches. Botanical gardens and conservatories bring the natural world up close for nature lovers. Minor league baseball games are a lively choice for senior sports fans who love to root, root, root for the home team! They’re also easier to navigate than larger stadiums, offer seats close to the action, and often have senior friendly events. Location of rest facilities and emergency facilities. Be prepared for whatever a long day may send your way. Have the most important things close by, such as water, a quick pick-me-up snack, a fan, a fully charged cell phone, and emergency information. And don’t forget to take lots of pictures! Check with your loved one’s daily schedule for medications, meal times, and rest. If your loved one will need medications while on a day trip, schedule activities so that they will have water, food (if necessary), and a place to rest when it’s time to take medications. And, keep in mind that when traveling, everything takes a little longer than usual. Great summer memories are made with friends and family. Plus, they can help with planning and preparation, and help your loved one feel safe and secure. Bring the group for an exciting and memorable trip! FountainView at College Road is a glatt kosher senior living community in Rockland County, NY. We have day trips scheduled regularly throughout the summer!